Highlights can be applied using so many different techniques, but they’re often placed on hair’s outer layers for maximum effect. But if you’re looking for something a little more subtle or out of the ordinary, adding peekaboo highlights to your hair’s middle or lower sections can show off color in a less obvious way. 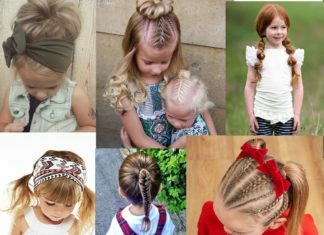 Because peekaboo highlights are placed on strands that are partially hidden, the line of demarcation where highlights begin is less obvious, making these styles super easy to grow out. So if you’re looking for a fun but subtle way to enhance your hair, check out these 35 gorgeous peekaboo highlight styles. 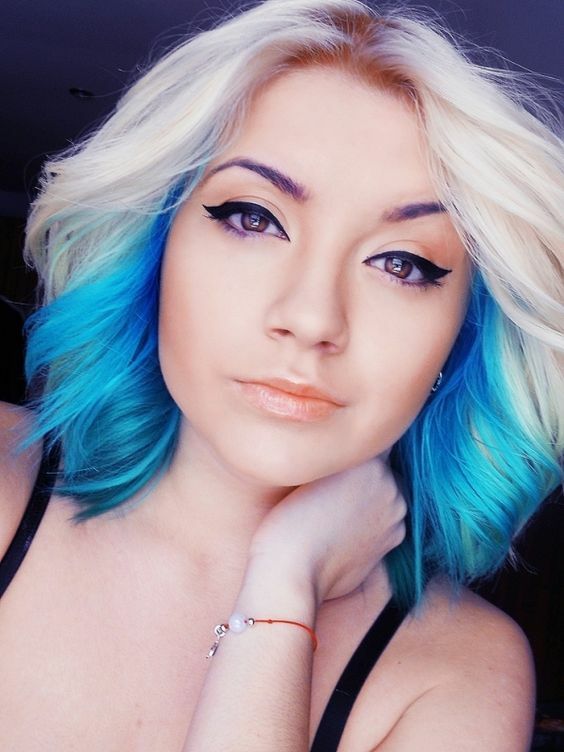 With a dark base color that’s got a purple tinge and peekaboo streaks in aqua and vibrant royal blue, this long hairstyle features a perfect peacock palette. This mix of dark blue colors looks especially nice on women with medium to dark skin tones, and compliments green and golden colored eyes. 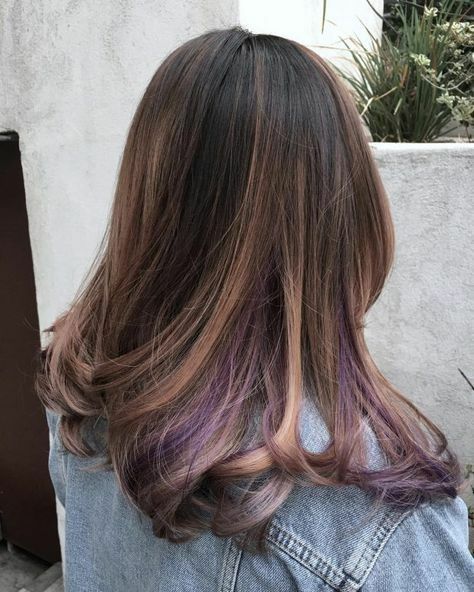 A dark shade of eggplant helps to enhance a natural brown base color, creating a look that’s more dark and edgy than basic blonde highlights. 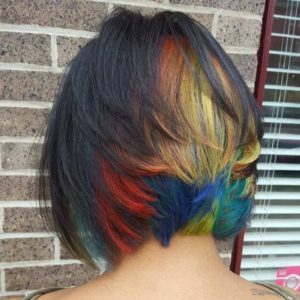 The rainbow hair trend allows experimentation with any colors you’d like, but it can be tough to pull off on a full head of hair. 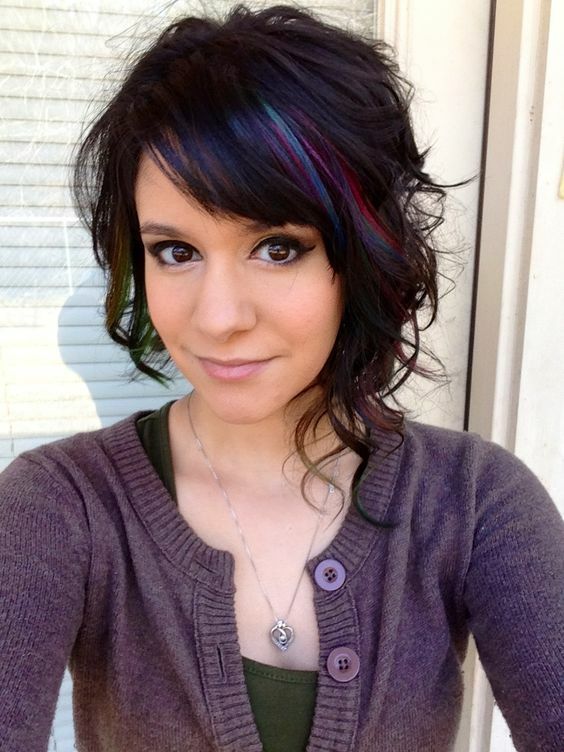 Using a peekaboo highlight technique allows you to show off just a bit of bold color, while sticking to a few cool colors allows you to create a rainbow effect without having to include every shade under the sun. This sleek bob is full of shine and glossy color, and uses the tiniest of blonde peekaboo streaks to help add some dimension to this otherwise single-tone style. 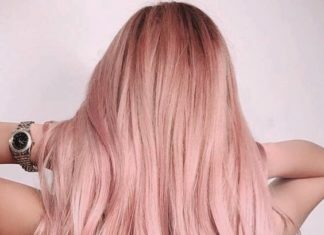 This light shade of millennial pink goes perfectly with champagne blonde hair. Peeking out just enough to make itself known but not so much that it takes over the look, this is a great way to try out an unnatural shade for the first time. A typical balayage style paints highlights throughout the upper layers of hair, creating a natural-looking enhancement. 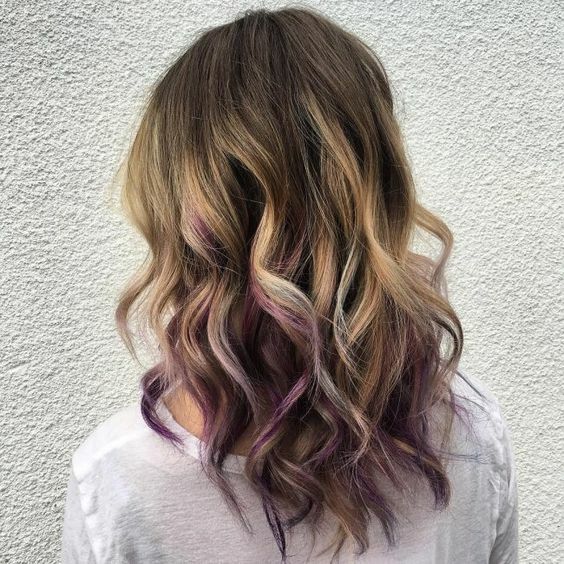 This look pairs a blonde balayage highlight with some purple peekaboo streaks in the hair’s lower layers, creating a dimensional look that nicely blends the highlights and lowlights. 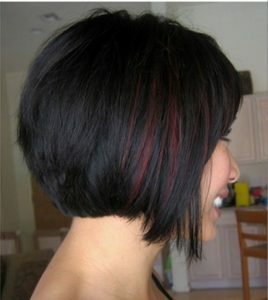 Peekaboo highlights can be applied in a number of different ways, and this steep a-line bob uses a technique where panels of a highlight color are applied to hair’s underneath layers. Compared to smaller sections of peekaboo shades that may often be completely hidden, panels create a big impact and are especially great for layered bob haircuts. 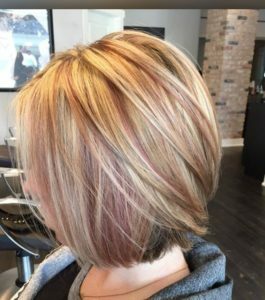 A rose gold peekaboo highlight underneath this warm blonde base color makes for a subtle enhancement that’s perfect for anyone who wants to darken up their look for fall. 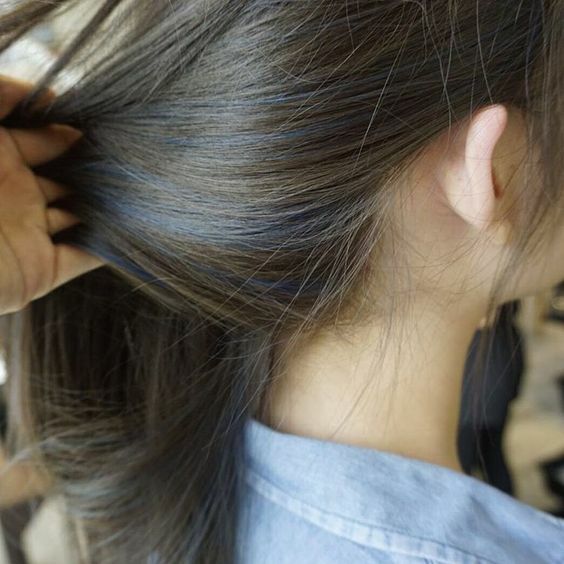 These barely-there blue highlights make for an incredibly subtle addition to natural brown hair. 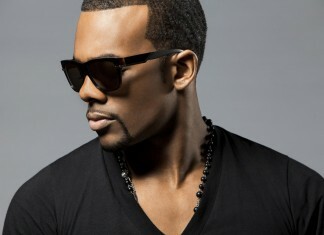 Because this brown hair has lots of cool, ashy tones, an equally cool shade of blue doesn’t drastically pop out at you. 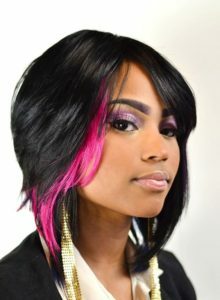 With a pink panel on one side of the head, this layered style draws the eye without being overwhelming or distracting. 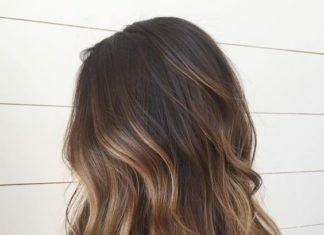 Although peekaboo styles are great for showing off unnatural shades, it’s also a great way to add a pop of blonde to your brown hair. 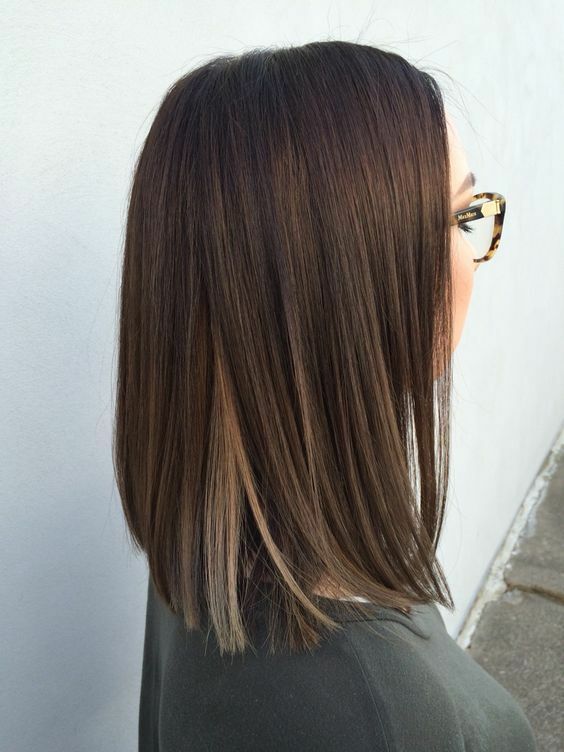 If you love wearing your blunt haircut super straight, peekaboo highlights can be easier to show off than a balayage or ombre technique. With all of hair’s underneath layers dyed in a bright shade of aqua blue, this a-line layered bob shows off a super-chic way to wear your hair in a half-and-half color pattern. 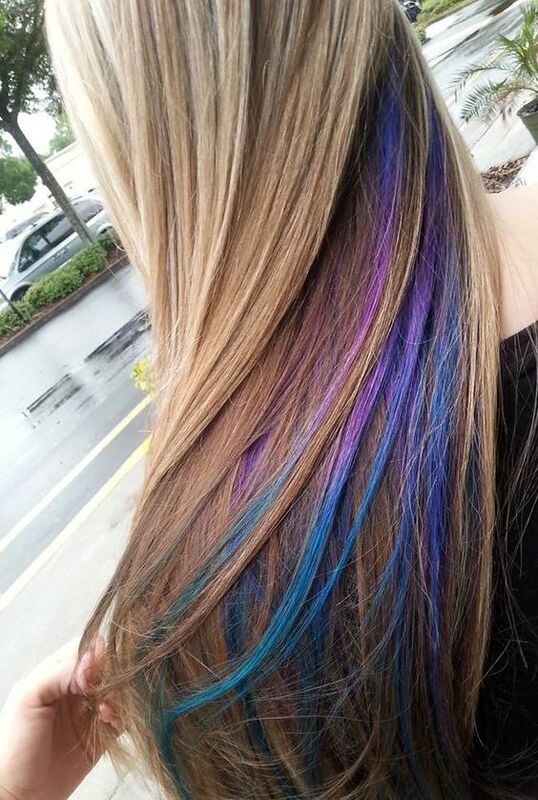 Ultra long locks give you tons of room to play with color techniques. These pastel peekaboos add just the right amount of contrast to a long blonde mane without requiring major upkeep. Gabrielle Union’s luxurious long locks prove that a little bit of caramel highlighting goes a long way. 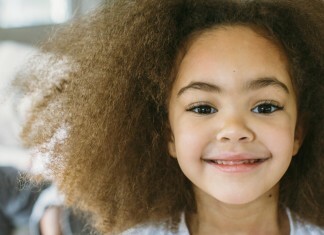 Hidden amongst her rich chocolate strands, wisps of caramel help to enhance her curls with subtle sophistication. 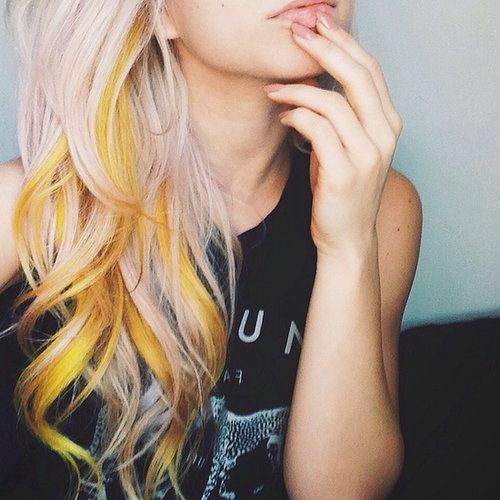 This unique hair color style features a pale champagne pink base color with vibrant golden yellow streaks placed throughout hair’s lower layers. Try this one out if you’re looking for a color palette that nobody else has dared to try. 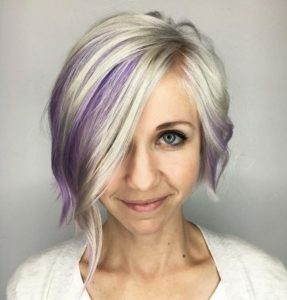 These violet peekaboo panels are very noticeable thanks to their placement around the face, and they make for a nice lowlight to add some depth and dimension to this ashy platinum bob. 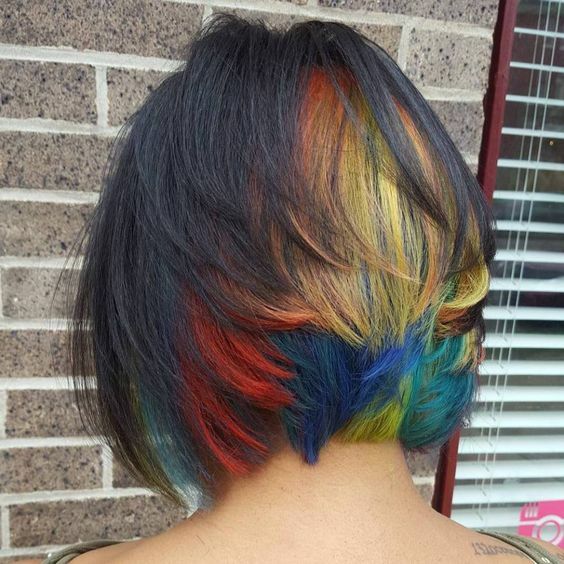 These peekaboo highlights offer up a way to get an entire rainbow in your hair without having it be on display at all times. This style of highlights work with any base color, but you’ll probably want to try it out on longer hair to give the different colors more room to play. Braided styles are particularly pretty when paired with these rainbow peekaboo highlights. 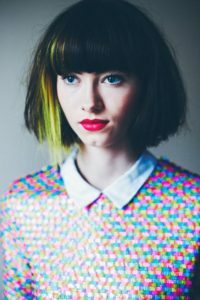 A touch of cool rainbow colors in your bangs can help to add some sparkle and dimension to an otherwise flat hair color, and make for easy growing out when you decide to change your style. 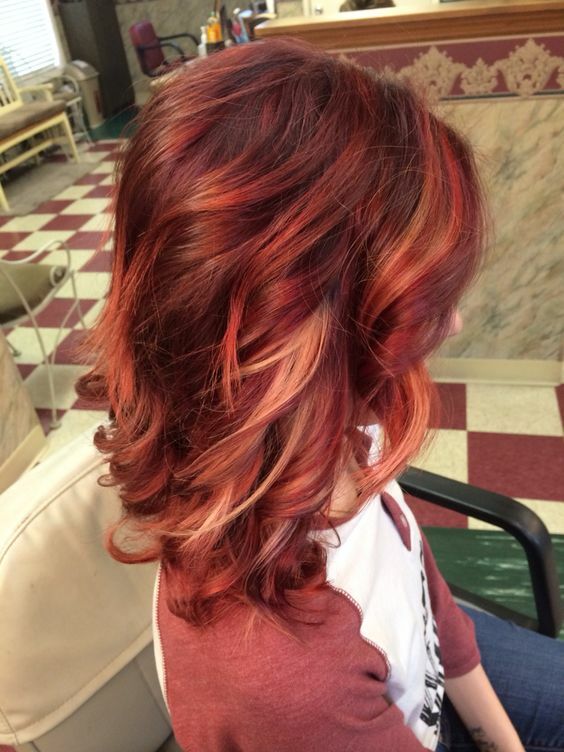 These thick bands of copper color certainly aren’t subtle, and create a beautiful contrast against very dark hair. 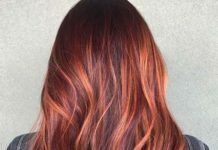 Give these peekaboo highlights a try if you love copper hair but don’t want the shade right up against your face. With lots of purple applied throughout hair’s inner layers, this blonde bob is one of the most bold uses of peekaboo highlights. 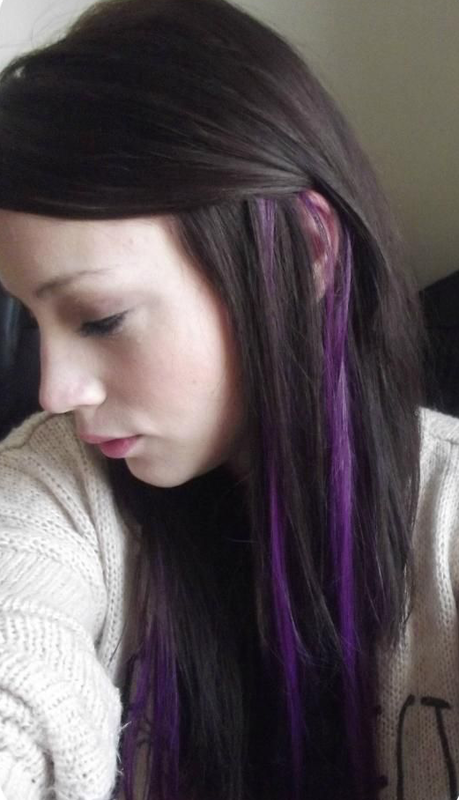 Run your hands through your hair and you’ll be met with gorgeous bands of blonde and purple. 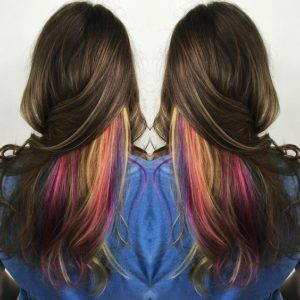 Looking for peekaboo highlights you can do at home by yourself? This simple style is easy enough for anyone with a bit of experience using bleach and semi-permanent dye. 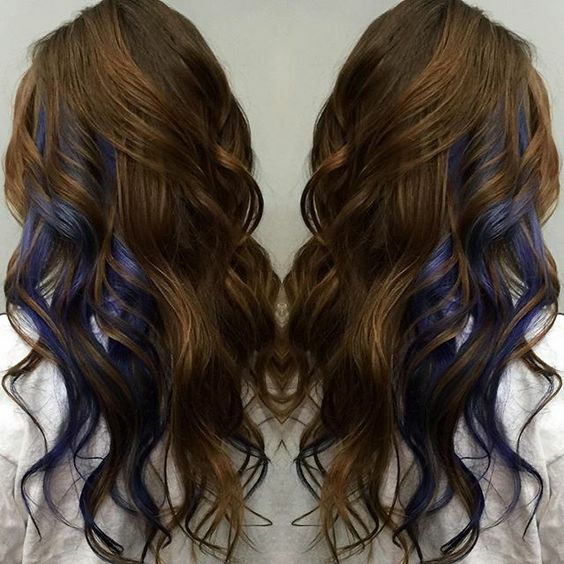 Unlike an ombre or balayage look, peekaboo highlights leaves lots of room for error. 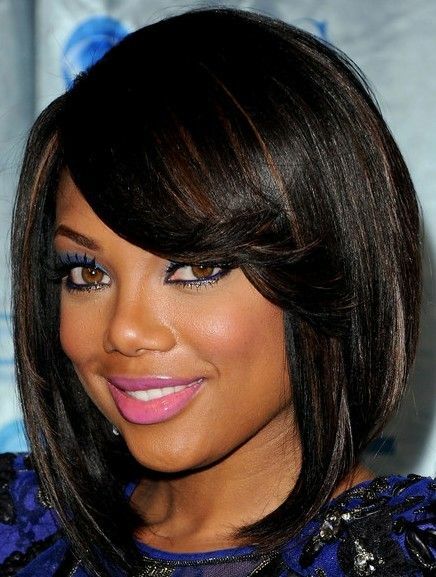 Although this style uses colors all in the same warm family, it shows a very interesting technique that includes lighter red highlights in hair’s upper layers and some peekaboo blonde color underneath. 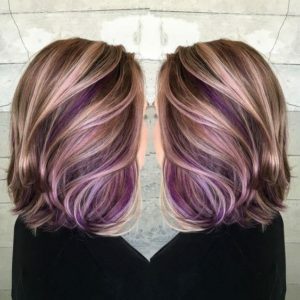 Some hidden streaks of medium-dark purple are the perfect way to have some fun with your dark brown hair, and you don’t have to break the bank at a salon to achieve this look. Even though blonde is considered one of the natural hair colors, more vibrant shades of yellow are one of the least frequently seen hair colors. 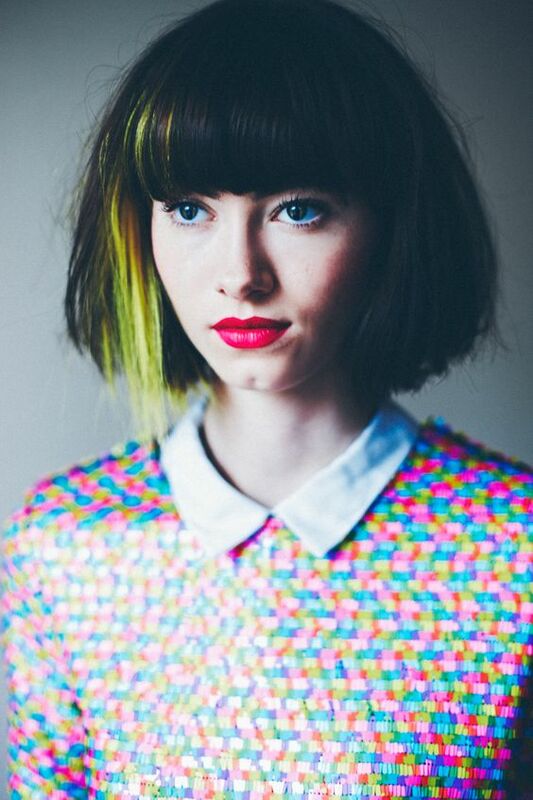 This side panel of vibrant highlighter yellow brings some edgy energy to this dark bob. Green hair seems to get a little less love than its unnatural counterparts like pinks, purples, and blues, but shades of green go surprisingly well with natural brunette base colors. 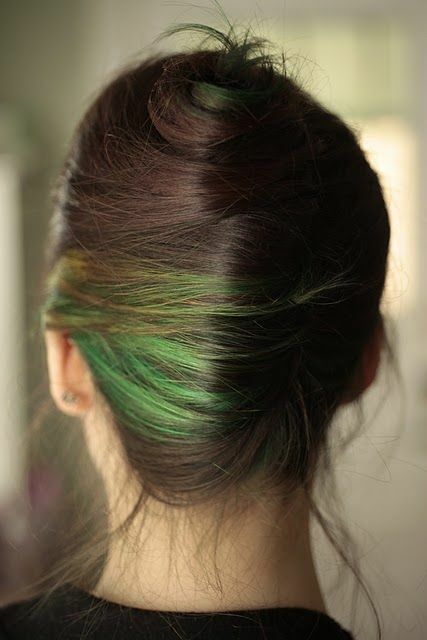 These peekaboo green highlights help to create a nice earthy palette that gets put on display when hair is worn in an updo. This bold peekaboo panel in bright fuchsia is a gorgeous feminine addition to any black hairstyle. With an interesting combination of highlights and lowlights, this medium brown base color gets enhanced by a soft blonde balayage on top and hints of purple underneath. Give your dark layered bob a super subtle color enhancement with these peekaboo panels in burgundy or maroon. 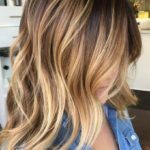 Blonde highlights are a great way to add something new to your ginger hair, but might feel too bold when applied to hair’s outer layer in an ombre or balayage style. These peekaboo streaks are placed so that they’ll be seen when hair is worn down, but don’t mess with the essence of your redhead style. 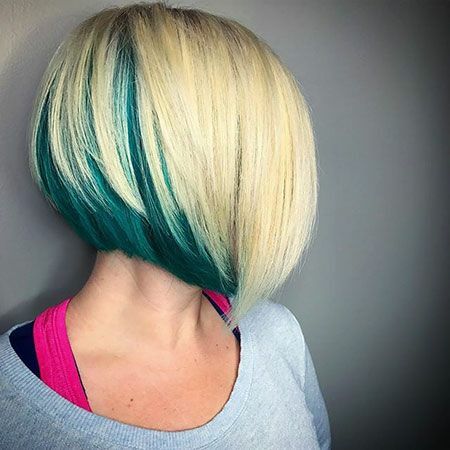 This gorgeous blonde bob is styled with feathered ’70s flair, while aqua peekaboo highlights bring the look into the modern era. Soft hints of blonde peekaboo highlights concentrated around the face offer up some strategic brightening that’s very subtle and sophisticated. 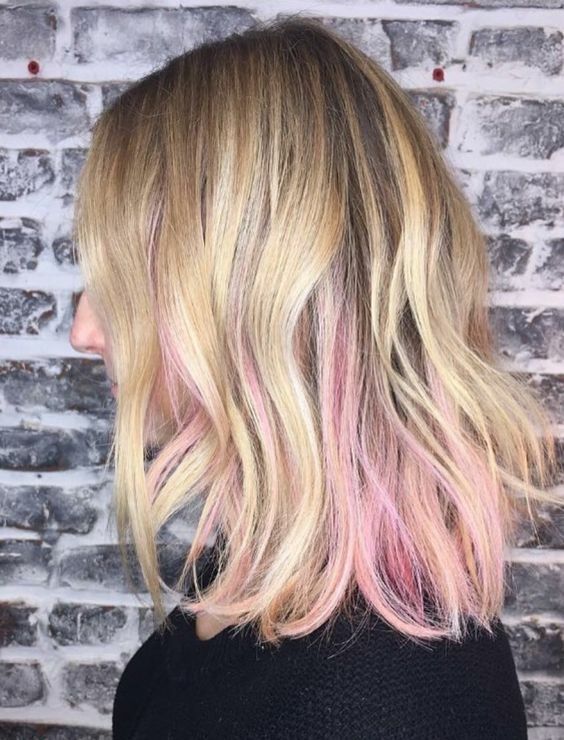 These blonde peekaboo highlights are the perfect way to warm up a dark hairstyle, and come without the worry of perfectly matching shades with your complexion. 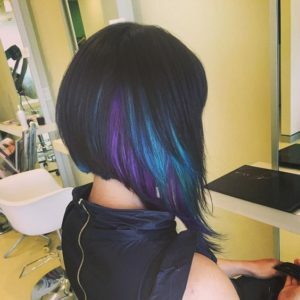 Layered bobs offer tons of opportunity to use peekaboo highlights, and this style goes for maximum impact with a full section of rainbow color in the back. Unlike some peekaboo highlights that are easy to hide, this style represents a pretty big commitment to rainbow hair, but is still easier to grow out than an all-over style. With blonde highlights in the bangs and also throughout hair’s underneath layers, this look from J Lo proves that peekaboo highlights can be used in a ton of different ways. If your long hair is naturally straight or resistant to curl styling, balayage highlights might not be what looks best on your strands. 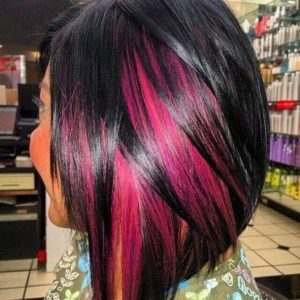 These bright pink streaks of peekaboo color offer up a great alternative to enhancing your hair without having to worry about an awkward line of demarcation.